Our Junior Preschool room caters for children between the ages of 3 and 4 years of age. This is however, flexible and depends on the child’s and/or family’s needs and developmental capabilities. Highly trained educators provide a fun and stimulating learning environment which is aimed at enhancing all areas of development. Children are offered play experiences based on individual interests and are given opportunities to develop their independence and creativity through open ended resources. The room routine is flexible and provides more opportunities for uninterrupted play. Educators encourage and assist children to further develop their self-help skills such as toileting and dressing, looking after belongings and serving themselves at meals. This encourages children to make decisions about their day and allows for choice. Children at this age are becoming more socially aware and our educators use teachable moments to encourage children’s social skills such as sharing, cooperation and conflict resolution. Educators encourage children to listen to each other’s ideas and work together during play situations. We also encourage the children to be socially responsible and care for their environment through sustainable practices such as recycling and gardening. 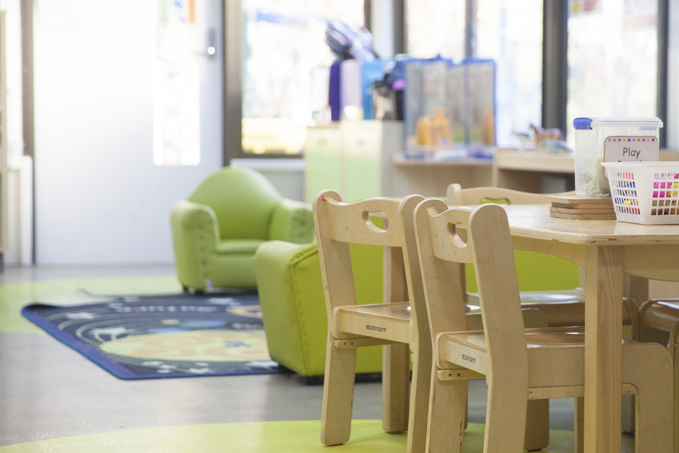 Children in the Junior Preschool Room have access to the main outdoor space, which includes garden beds, play equipment, a large sandpit, sporting equipment, bikes and a bike path. Junior Preschool promotes further development of children’s gross and fine motor skills through experiences like art, craft, obstacle courses, bike riding and dancing. We help children to develop a sense of wellbeing through yoga, exercise and relaxation experiences and offer quiet play spaces for children that do not sleep during the day. Children learn about a range of topics through play and are assisted to develop more complex cognitive skills such as problem solving, questioning and investigating. Dramatic play, construction and art design activities allow children to develop their self-expression and creativity. Science, literacy and numeracy are key features of the educational program and children are encouraged to explore and discover these through fun engaging activities.